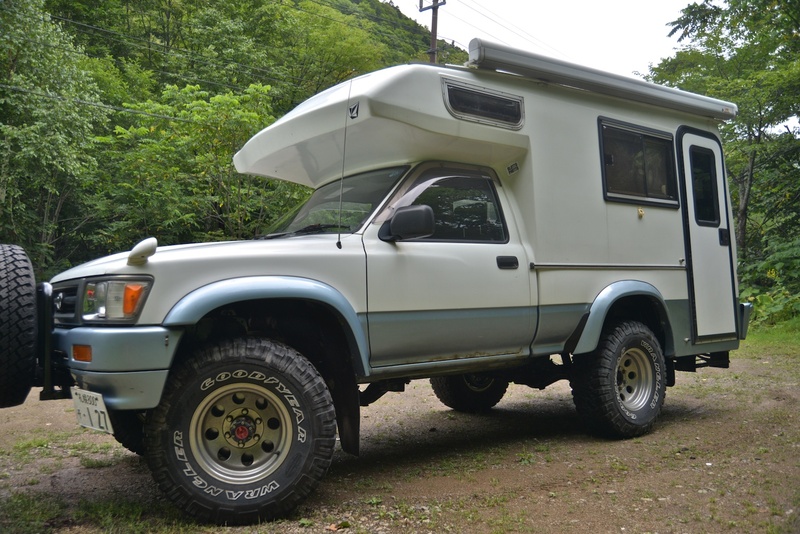 Car Danchi Camper for sale! The Camper van has been sold! Thanks to all who sent in offers! 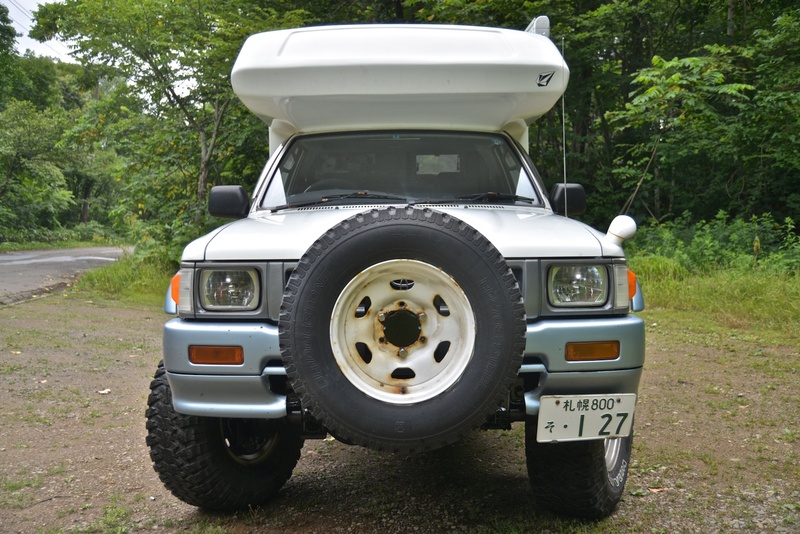 The legendary camper featured in the snowboard movie series “Car Danchi” is for sale! Custom built on a Toyota HILUX truck Manual 5 Speed 2800cc 3L engine. 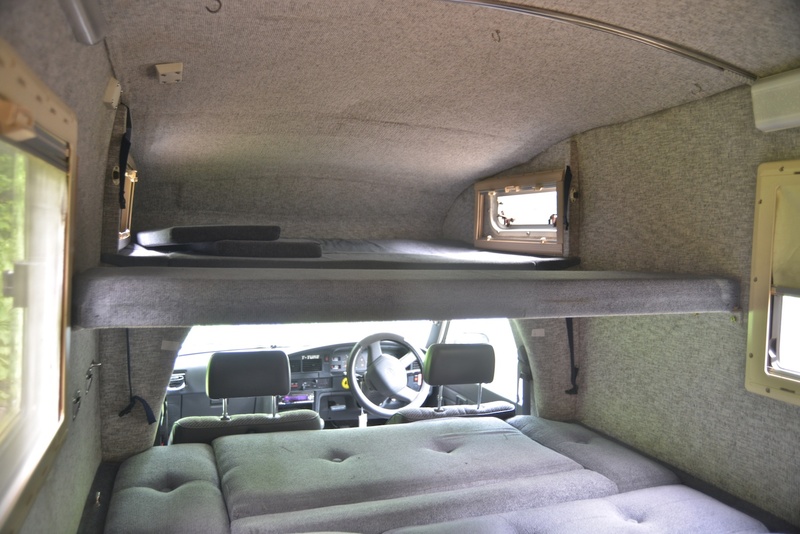 This camper is made for the all terrain all access go anywhere lifestyle! 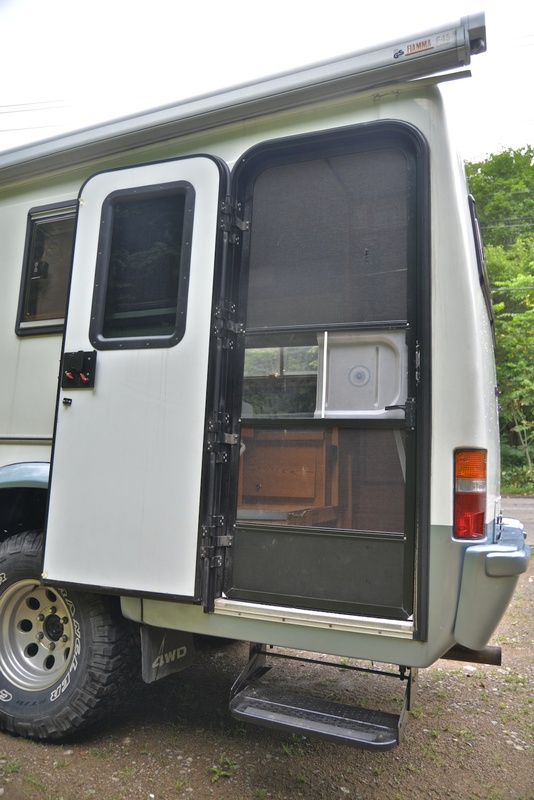 Legal to carry up to 7 people, and comfortably rides and sleeps 4 or 2 adults and 3 kids. It has all the basics and none of the unneeded items like a shower that you never use. Very warm to sleep in even in the winter. Has a heater that runs off of the diesel fuel (I never used it). 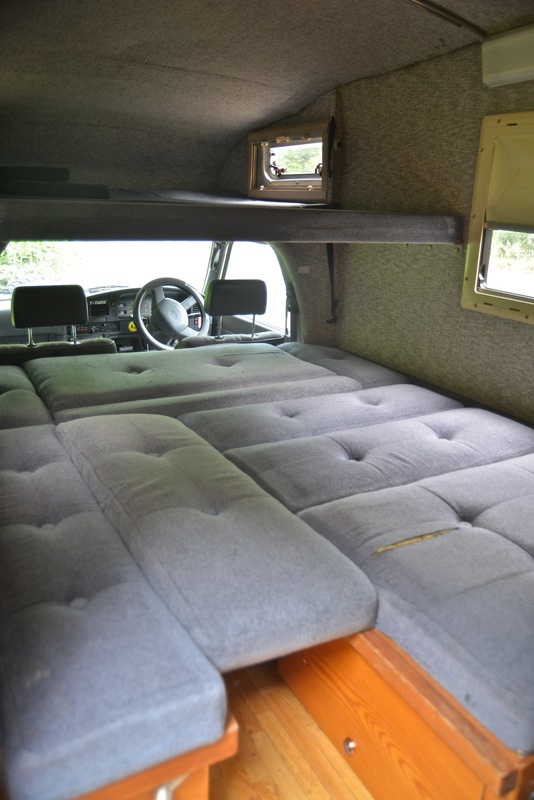 Air suspension for level sleeping and carrying heavy loads. Summer and winter tires included. Shaken for TWO YEARS. Valid until 2016 July 14th. Just paid ¥170,000 for that! Best offer takes the camper! Including a full tank of gasoline, window washer fluid, an ice scraper, sunscreen for front window and maybe a few other goodies! Price ideas. My local car repair master tells me the Toyota Hilux is worth about ¥600,000 just as parts. 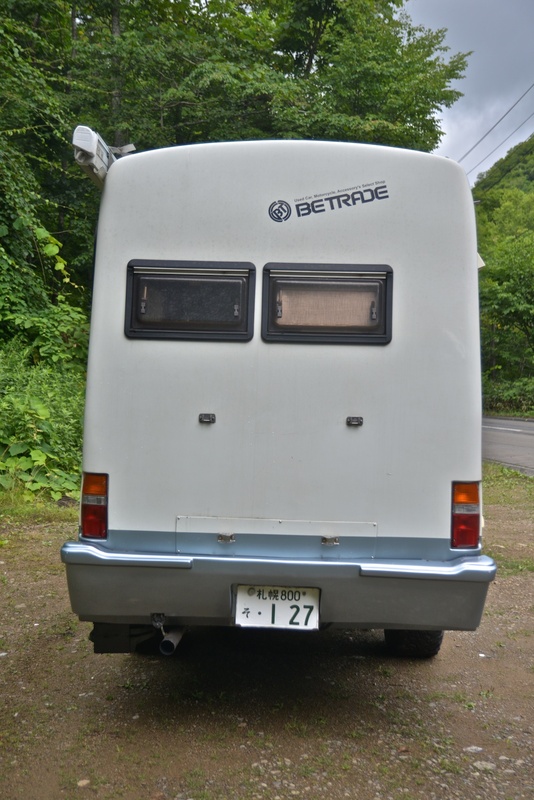 A check of similar campers on the internet shows some dealers selling this type model with similar mileage for about ¥1,200,000 or more. So some where between those two numbers! I have added a form at the bottom of this post to send in comments, questions, and offers! Now check out a few photos for details! Look how good it looks on the road! Spare tire on the front. Needs to be removed for the bi yearly “Shaken” test. This keeps the car registered as a vehicle under the 5 Meter limit which means ferry fees and highway tolls are the same as a passenger car. Large awning rolls out and makes for a shady spot. Fiamma brand. 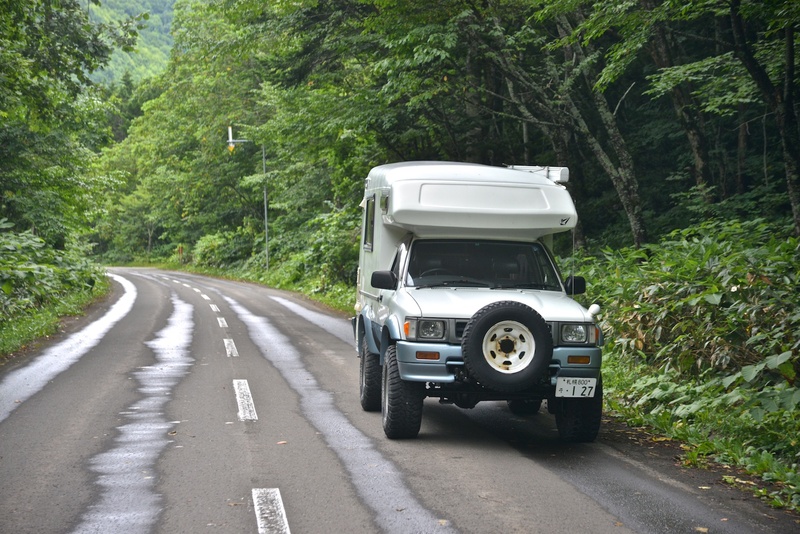 The body is not much wider than the truck itself which makes driving easy on Japan’s rather narrow roads. Sink and storage. 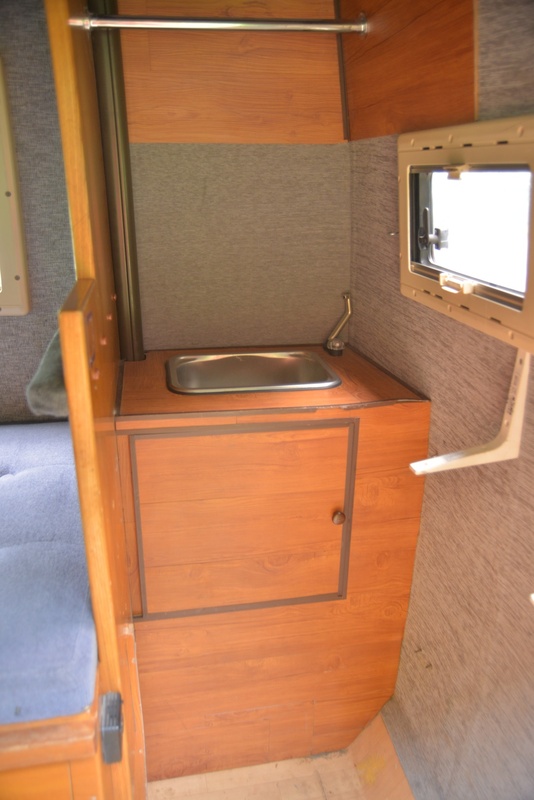 The sink is basically there to keep the “8” (camper) license number. I never had the need to use the sink as there are sinks and bathrooms all over Japan. 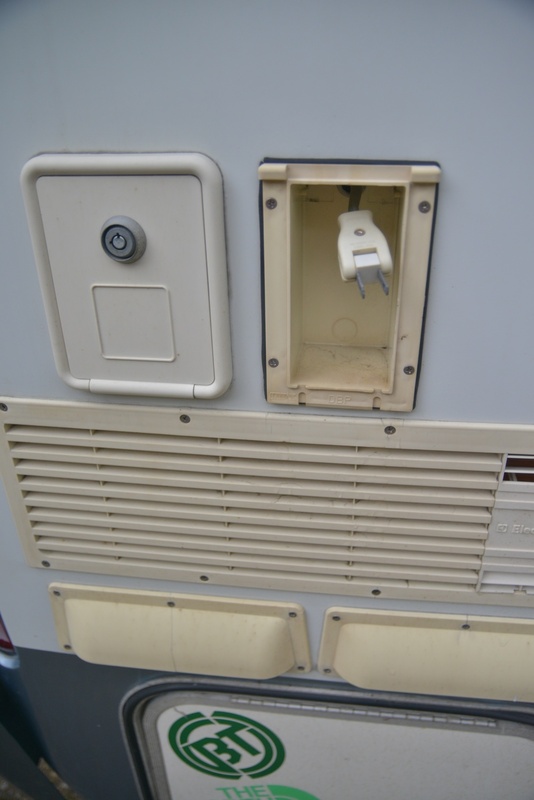 The doesn’t mean you cannot use it, there is a tank underneath the camper that collects the drain water as required. 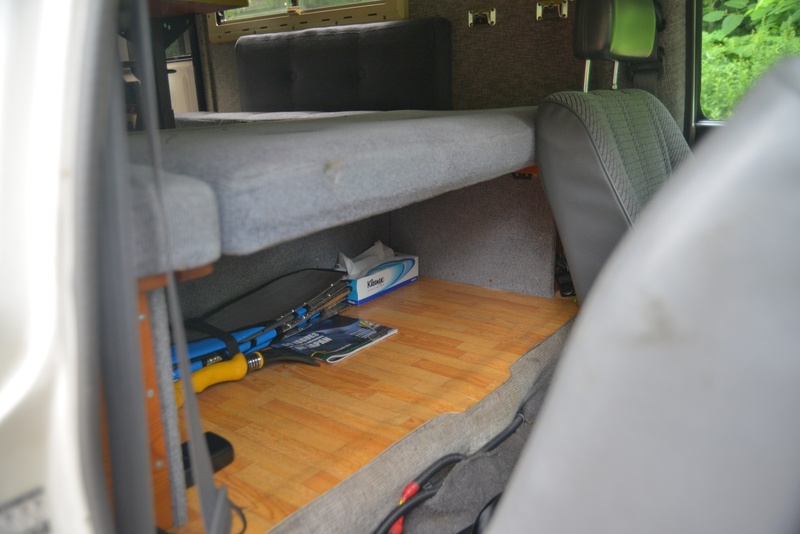 Some storage space underneath the sink and storage under both seats. 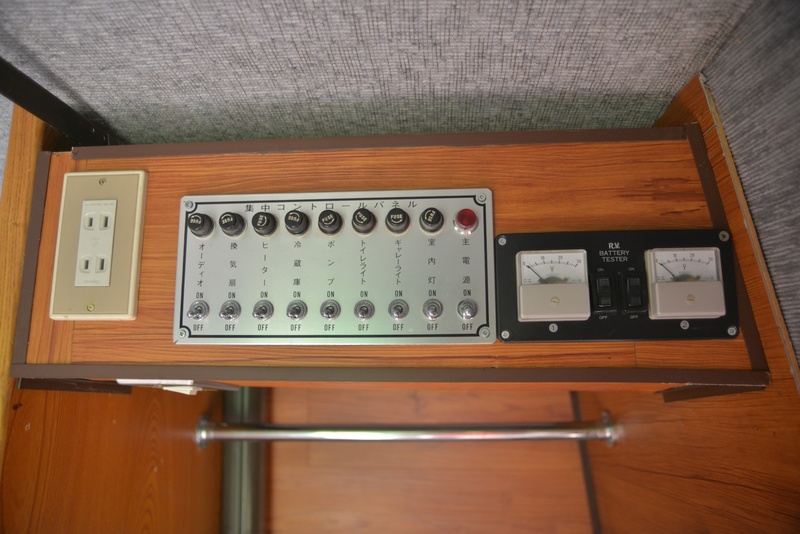 Electrical control and battery check panel. 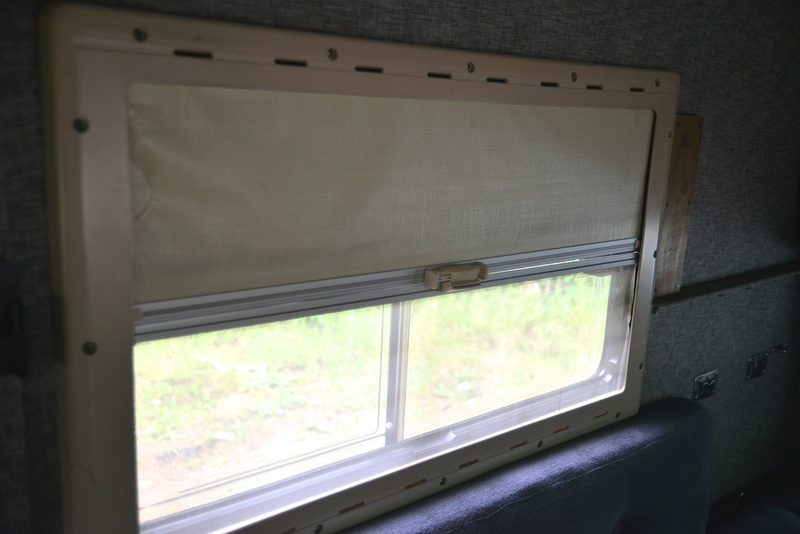 Windows have built in screen and shade. Just pull up or down depending on the season and activity. 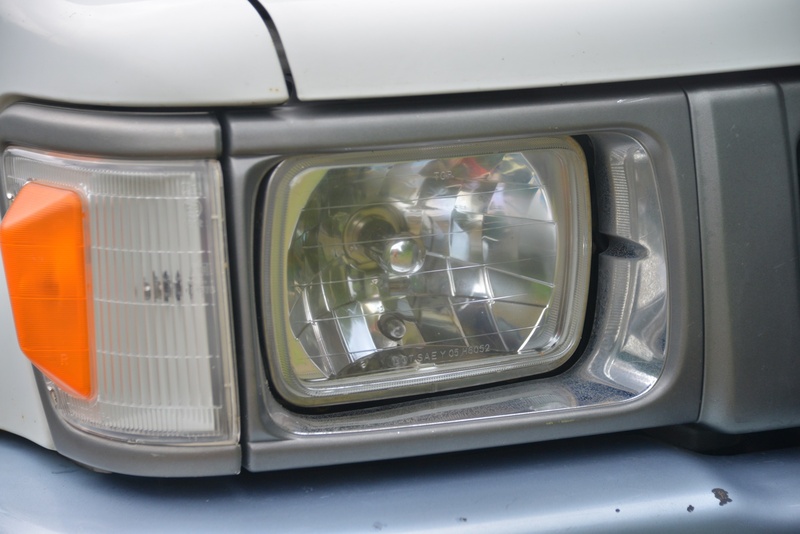 HID headlamps that cost me ¥50,000 and are worth the cost. Very bright and makes for safe driving! 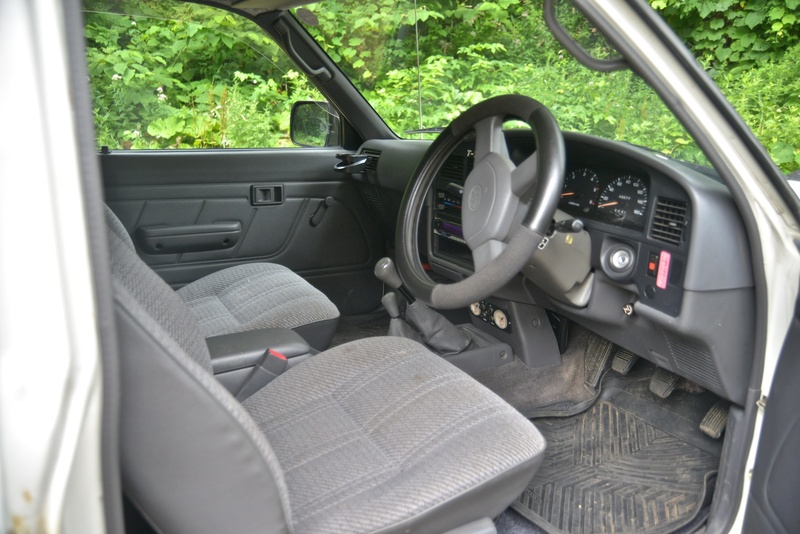 Storage space behind the drivers seat. Now if you still want to see more watch the video I made about the camper below. All in Japanese but you will be able to get a good idea of what it looks like and drives like! 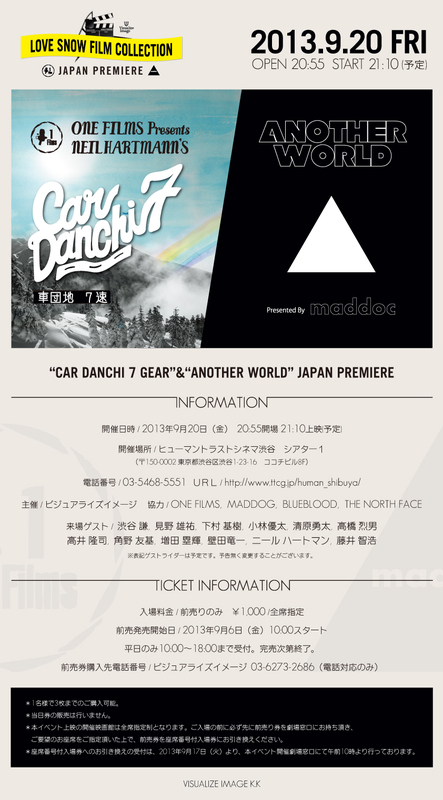 Car Danchi 7 teaser released! Check it out a new edition of my Car Danchi movie series is going to be hitting stores on the 20th of September 2013 and then iTunes a little bit after that! The 7th edition of the Car Danchi series come with another incredible music selection featuring some of Japan’s best techno, deep house and future Jazz along with an international selection of Hip Hop, acoustic rock and funk. If this wasn’t a snowboard movie it could be a compilation mix album! The Sherpas Cinema movie “Into the Mind” teasers has been released and the world will never be the same! Into The Mind – Official Teaser from Sherpas Cinema on Vimeo. Film Festival I would like to go to! This is what films festivals should be like, when are we going to have one like this in Japan??? Snowboard Garden Festival – Teaser 2012 from Snowboard Garden Festival on Vimeo. Right now I am working hard to complete the new Car Danchi 6 trailer or teaser which should be appearing on YouTube within a week. This is the season for snowboard movie trailers, everyday some production company seems to be announcing the upcoming release of their new flick. It is always fun to watch and seem how people try to find a slightly new way to say basically the same thing every year. With the advances in camera technology now it is incredible to watch the slow motion/wire cam/heli steady cam/whatever being put to use. You won’t find any of that in my teaser or film, but hopefully I am making up the difference with some flow and a little story. Anyway check out our Car Danchi friends the True Color Films latest teaser for their new flick “Day by Day” They came to Hokkaido again this last winter and spent another good week with Shinya who guided them around. Great crew, great people looking forward to the film and the Japan footage! DAY by DAY TEASER from True Color Films on Vimeo.